“Promising early phase clinical trials have led to the initiation of the phase III JUNIPER trial, which is assessing abemaciclib (LY2835219) for patients with previously treated KRAS-mutant lung cancer, a traditionally hard to treat genetic subtype. “JUNIPER is an open label phase III study currently recruiting patients with stage IV non–small cell lung cancer (NSCLC) with a detectable KRAS mutation who have progressed following treatment with platinum-based chemotherapy (NCT02152631). Patients will be randomized to receive either abemaciclib or erlotinib, both with best supportive care. Shimamura T, Chen Z, Soucheray M,Carretor J, et al. Clinical Cancer Research. Sept 17, 2013. 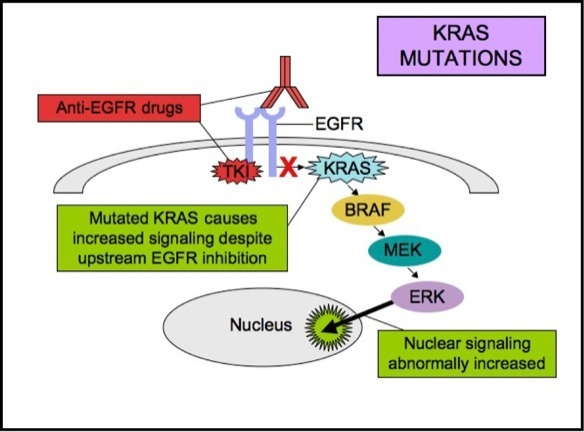 The recent discovery, in hematologic malignancies, that BET bromodomain inhibition impairs MYC expression and MYC transcriptional function established the rationale of targeting KRAS-driven NSCLC with BET inhibition. We performed functional assays to evaluate the effects of JQ1 in genetically defined NSCLC cells lines harboring KRAS and/or LKB1 mutations. 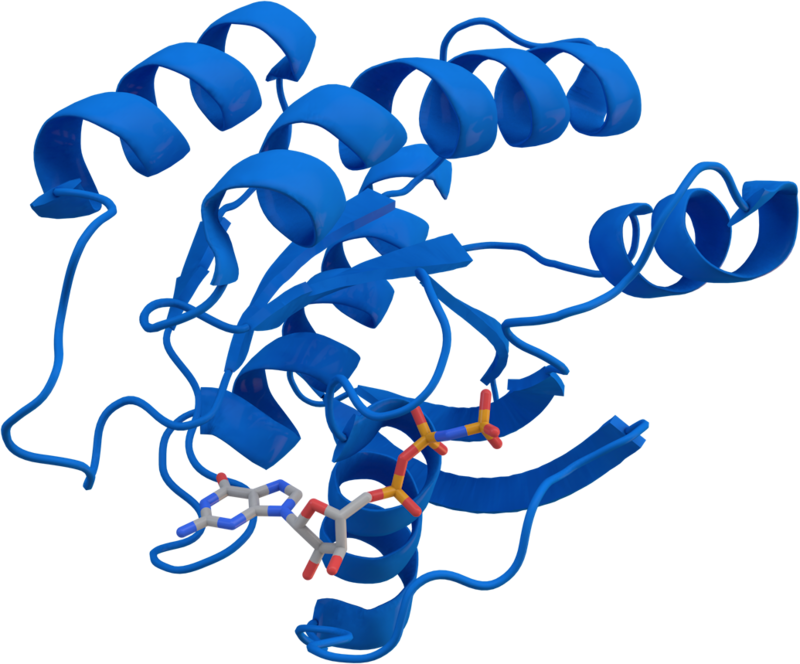 Bromodomain inhibition comprises a promising therapeutic strategy for KRAS mutant NSCLC with wild-type LKB1, via inhibition of MYC function. Shepherd FA, Domerg C, Hainaut P, Jänne PA, et al. J Clin Oncol. Apr 29, 2013. We undertook this analysis of KRAS mutation in four trials of adjuvant chemotherapy (ACT) versus observation (OBS) to clarify the prognostic/predictive roles of KRAS in non–small-cell lung cancer (NSCLC). KRAS mutation status is not significantly prognostic. The potential interaction in patients with codon-13 mutations requires validation. At this time, KRAS status cannot be recommended to select patients with NSCLC for ACT.